Are There Any Benefits of Vitamin E for Skin Rashes? Rashes, which are technically referred to as dermatitis, are often itchy or painful. The University of Maryland Medical Center states that rashes may be caused by chemicals found in products like soaps, cosmetics, detergents, rubber, latex or dyes. They can also be caused by plants like poison ivy, poison oak or nettles. There are a number of ways to soothe and heal rashes, including the use of vitamin E. Vitamin E is preferred by some because, in addition to soothing rashes, it has many other benefits. Lotions infused with vitamin E protect the skin from ultraviolet damage caused by the sun. Vitamin E is often found in sunscreens, but it's also used as a supplement to sunscreens to increase your protection. The better protected you are against the sun's rays, the less at risk you'll be for skin cancer. Healthy-Skincare.com states that you should apply vitamin E at least 20 minutes before exposure to the sun for the best results. In some cases, rashes can last for a long period of time. This is true in the case of psoriasis or eczema. In these severe cases, vitamin E serves as a treatment when applied topically or when ingested. It works to soothe any pain or itchiness in addition to reducing the overall rash appearance. Because it's not a harsh treatment, it can be applied throughout the duration of your rash. Whether taken orally or applied topically, vitamin E serves as an antiaging supplement. For example, it may reduce signs of aging, including wrinkles and fine lines. Because vitamin E is also an antioxidant, it protects skin cells from harmful substances called free radicals that may negatively affect your appearance. In addition to treating your rash, vitamin E promotes your overall health. 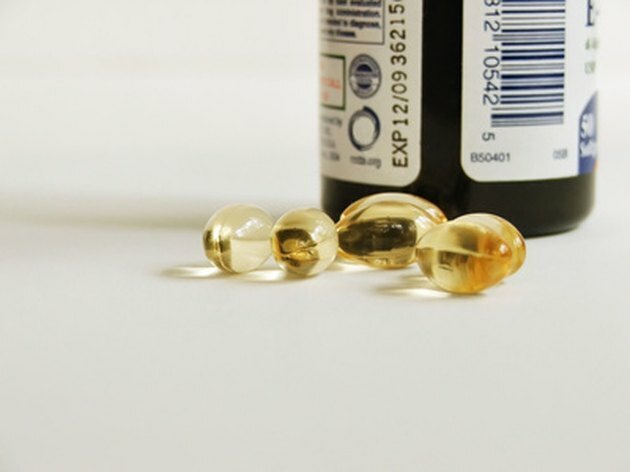 For example, those who take vitamin E on a regular basis may experience decreased menstrual pain or increased sperm count, notes Healthy-Skincare.com. It's also been found useful for treating inflamed eye tissue, asthma, cardiovascular disease, muscle cramps, cataracts and restless leg syndrome.